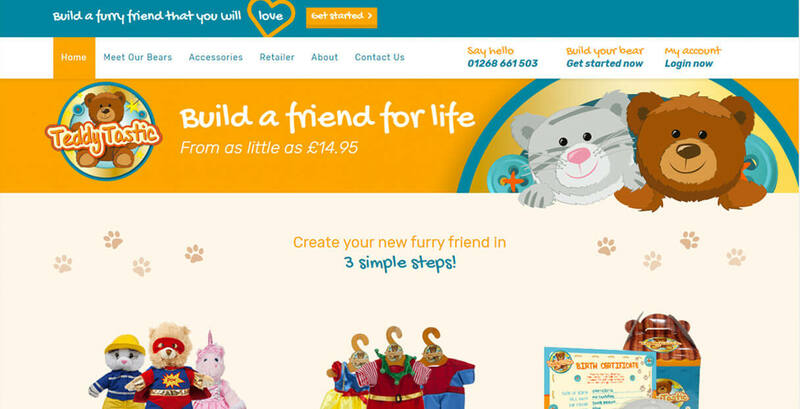 Teddy Tastic provide ready made bears and build your own bears for online retailers and end consumers. 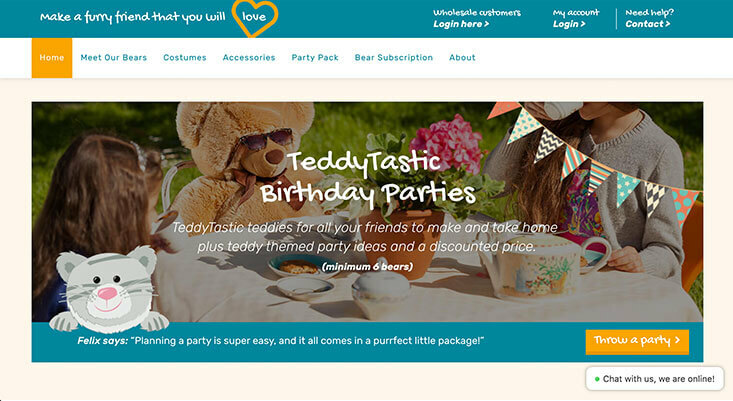 The previous Teddy Tastic website was built in Magento which meant that the usability in the back end was highly limited to developments. Partyman approached us as they needed a solution to their CMS problem. We suggested that we redesign and rebuild the website from scratch in WordPress. The investment Partyman made with a new, modern and user-friendly website – means that the team can easily update the shop with new products, track orders in the warehouse, upsell additional options in the shopping cart and promote their make a bear tea parties. 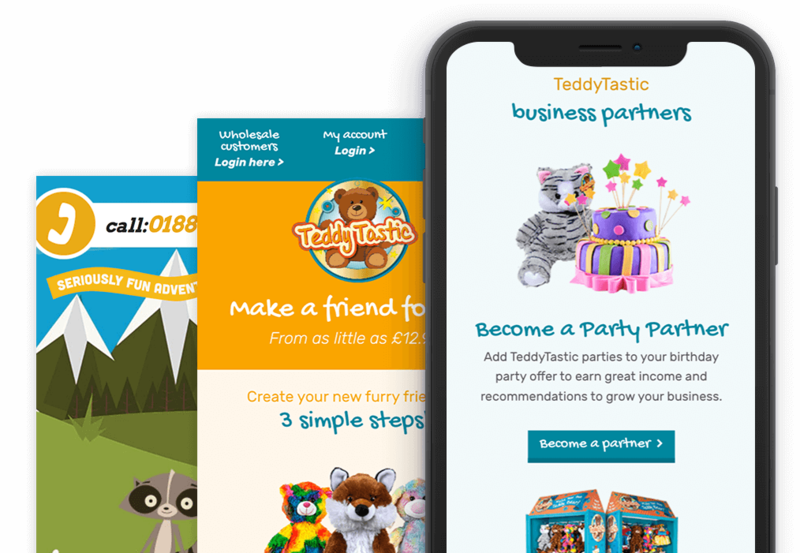 Teddy Tastic came back to us after a year of consumer feedback and growth and wanted to discuss phase 2 of their business developments to target a wider audience. We have since created a second member level for wholesale consumers to allow bulk orders of products with new categories and filters to entice Party Partners and Retailer Partners. 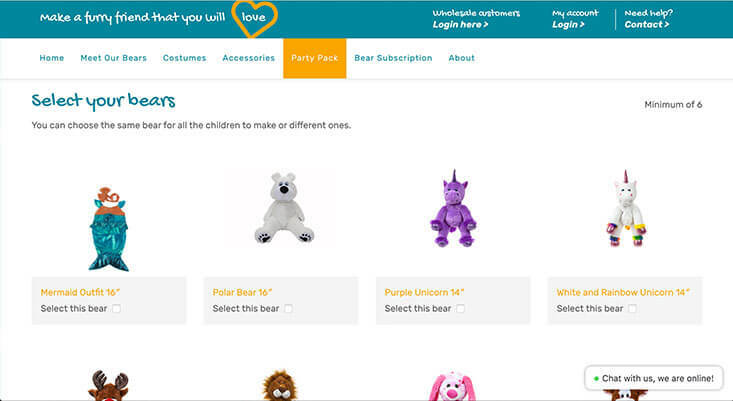 The website is connected to ActiveCampaign for remarketing purposes as well as more complex features such as the ability to track purchase orders and mark them as shipped via the Teddy Tastic warehouse team.